Explore New Zealand's North Island with its unique 7 unique geographical regions and diverse natural beauty, from soaring mountain peaks, fiords, lakes, rivers, native rugged bush, the majestic volcanoes of the North Island's central plateau to the central North Island skifields of Whakapapa and Turoa by bus and coach from Wanganui. 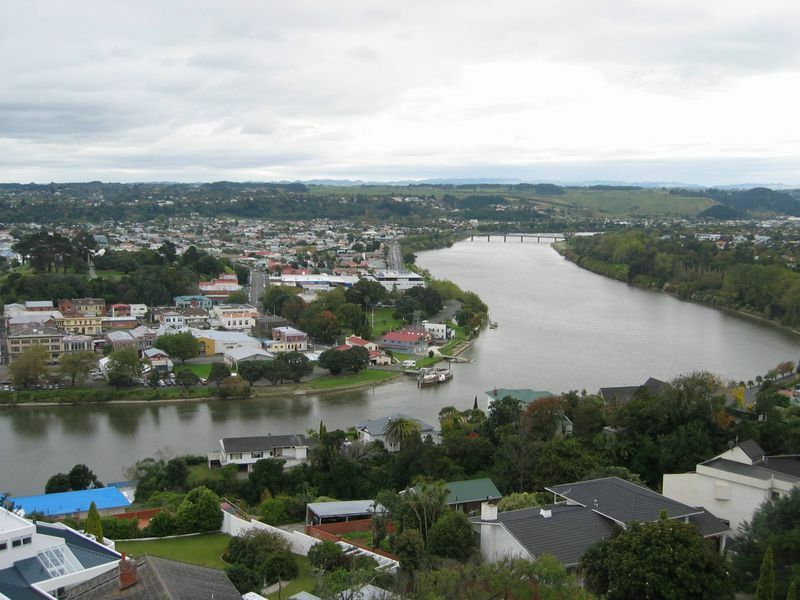 One of New Zealand's oldest cities, and situated near the sea on the banks of the Whanganui River. Wanganui (Whanganui) central city shopping area is based in the revitalised Victoria Avenue, revamped to highlight the city's heritage with gaslights, trees and wide paving. From December to March, 1000 hanging baskets and verandah boxes of flowers celebrate 'Wanganui in Bloom' Many gardens and parks brighten the city, especially Virginia Lake, Bason Botanical Reserve, Kowhai Park with its children's playground, and Queen's Park where the Sarjeant Gallery, Whanganui Regional Museum and Library are situated. Moutoa Gardens, Glenlogie Rose Gardens and the Bushy Park Scenic Reserve and Homestead (24km northwest of Whanganui) are also excellent scenic spots to visit. Castlecliff and Mowhanau Beaches are typical West Coast black iron sand beaches, which are very popular with locals and visitors. At the Whanganui Riverboat Centre, which houses the recently salvaged paddle steamer Waimarie, visitors can see restoration continuing on the vessel as well as memorabilia of the riverboat era. The Whanganui Regional Museum has an excellent Maori collection, featuring a Maori Court and famous canoes. The Sarjeant Gallery features contemporary art, photography and touring exhibitions. There are a number of historic homesteads and churches, including the St Paul's Memorial Church (Putiki) which is decorated with Maori carvings and tukutuku wall panels. There are two inner city Heritage Walks as well as the Wanganui West and Three Valley Heritage Trails. The Durie Hill pedestrian tunnel takes you to the historic elevator, one of only two in the world, which rises 66 metres through the hill to the summit, where the Memorial Tower offers excellent views of the city and river. Wanganui is renowned for its array of sporting facilities, including Cooks Gardens the home of Peter Snell's world record breaking mile and New Zealand's only international-class wooden cycling velodrome. Travelling from Wanganui is in modern buses and coaches with InterCity Coachlines operating a fleet of eco-friendly air conditioned buses with reclining seats and foot rests. Great Sights and Newmans Coachlines operate premier services using a fleet of modern eco-friendly air conditioned coaches featuring reclining seats with foot and head rests and onboard toilet/washroom facilities. If you want to explore and see New Zealand's unique scenic beauty from Whanganui, there are a range of flexible 'Book As You Go' bus, scenic coach, ferry travel and sightseeing passes giving you value for money travel.